The tour cost is $35 per adult and $25 per child. McCarthy's Wildlife Sanctuary is a number one visitor attraction in the West Palm Beach area. As the name implies, the Sanctuary is first and foremost a working wildlife rescue facility. 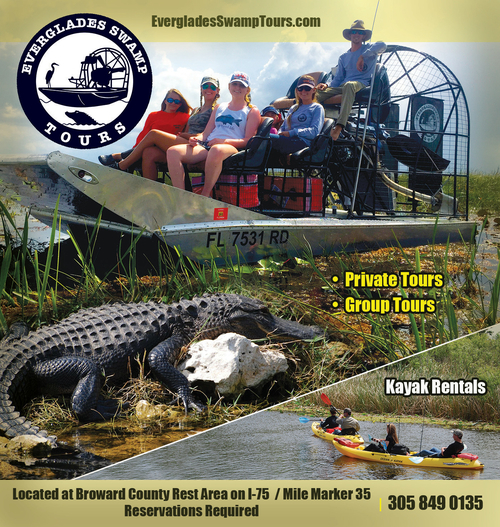 It is a non-profit, and fully licensed by the Florida Fish and Wildlife Conservation Commission and the U.S. Fish and Wildlife Service. Every year it rehabilitates hundreds of injured animals brought to it by game officers and members of the public. It brings the animals back to health and releases them into the wild. In addition, it provides a safe permanent home to exotic animals who were seized by game authorities or donated. This year, McCarthy’s Wildlife Sanctuary has treated hundreds of native animals that were sick or injured. Everything from foxes to bobcats, Sandhill Cranes to pelicans, hawks, owls, and many others have received veterinarian care by our staff and then were released back into the wild. In the course of its work, the Sanctuary educates by being open to the public five days a week (it is closed on Sundays and Mondays), and also has outreach programs for kids in the community. Guided tours of the Sanctuary are provided three times a day, and you will see over 200 animals during the tour. Appointments are required, so you need to call first. One of the most popular parts of the tour is the reptile room, which has creatures ranging from tarantulas to a 12-foot albino python. Visitors always have the chance to take amazing photos. The exotic animals include a siberian lynx, a scarlet macaw, an American alligator, and a ringtail lemur. Because the sanctuary is primarily engaged in wildlife rescue, it's much more educational and in-depth than a zoo or "safari" tourist attraction. You're also helping the wildlife, because the facility is supported by admissions and donations. The Sanctuary's director, Mark McCarthy, has over 30 years of experience with wildlife, and countless kids in South Florida have had an experience to meet animals as the result of his outreach programs. Because of the working nature of the Sanctuary, children under five are not allowed. But for the older kids (and adults), it's an amazing educational experience.